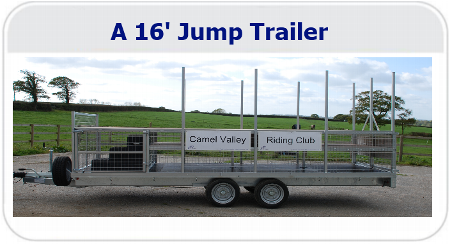 EquinePlus has designed a trailer with Pony, riding clubs and event organisers in mind when transporting their jump courses between venues. Our range of road legal jump trailers caters for many different courses and can be adapted to your specifications. 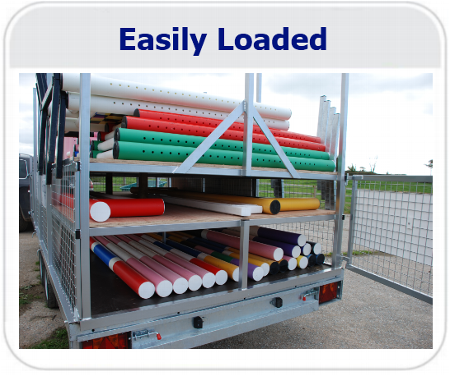 Our trailers provide separate compartments for poles and are built to accommodate your entire course, including items that can be difficult to transport such as planks, fillers and wings. The trailers come in a choice of 14ft and 16ft trailer length, depending upon the size of your course. 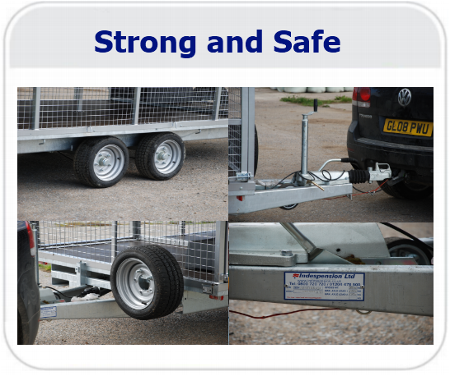 Please contact EquinePlus for more information and for a quote on a desired trailer. Our trailers are made from Indespension running gear and flatbeds. All trailers have spare tyres, a hitch lock and a gross towing capacity of 3.5 tonne.